Tooth Brushing How To-Technique is everything.Tooth Brushing-Technique is everything, learn how to do it better. Tooth Brushing How To-Technique is everything. Tooth brushing technique is everything. Brusha Brusha Brusha! Brush those pearly whites. Tooth brushing. Every time you see your dental professional they comment on your brushing. Usually you are told to brush more. Well if your are brushing improperly brushing more is not going to make things better. How about just brush better? 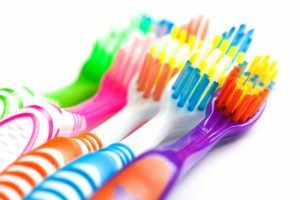 How you brush determines if you get decay or gum disease. It’s a pretty important skill in my humble opinion. I bet no one ever showed you how to do it well. Some simple modifications can help you do it more effectively. If you experience cavities, bleeding gums or sensitivity it may be the way you brush. Did you know that when you brush and what you brush with also matters? Watch my video on effective tooth brushing. It should help you make some very simple changes that will do a world of good. Effective Brushing with Jen and Canine enjoy! Check out my you tube page or facebook for more mouth care tips and tricks. Questions and comments? Call 519-736-1100 or email jen@embracedentalhygiene.com. Don’t forget to sign up to my newsletter and get your FREE copy of Top 10 Tips for a Healthier Whiter Smile.